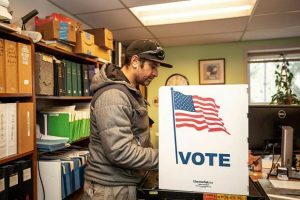 The city of Aspen has received an outside appraisal on a portion of office space that voters will decide on this fall. When and if the fair market value of 517 E. Hopkins Ave. that local appraiser Randy Gold provided to city officials is released to the public is anyone’s guess. Gold, of Aspen Appraisal Group, confirmed on Friday that he was hired by the city to do an appraisal on the value of 21,442 square feet of turnkey office space that the city would buy from developer Mark Hunt. The city government is under contract with Hunt to purchase that space, along with 5,500 square feet next door, at 204 S. Galena St., for $32.5 million. The deal also includes Hunt’s development team remodeling the current City Hall for an estimated $3 million less than what the city would do it for. 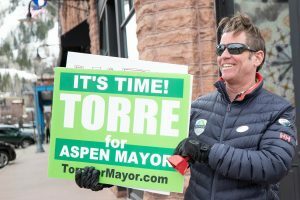 That deal is “Option A” on this fall’s ballot for Aspen voters. 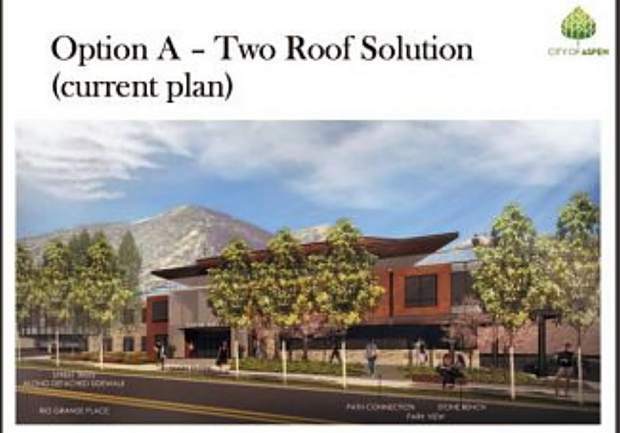 “Option B” is the city building its own office space at 427 and 455 Rio Grande Place, which was approved by ordinance in 2017 by Aspen City Council. That is estimated to cost $26.1 million and could be as large as 40,000 square feet, according to the city’s preliminary figures. Option B also includes remodeling City Hall but the city government would do it itself at a price tag of $15.8 million. Gold said he hasn’t been asked to appraise the entire deal that is spelled out in the city’s real estate contract with Hunt, which includes a total of 26,942 square feet of developed office space and 20,000 square feet remodeled in City Hall. Gold said he verbally shared his appraisal on the Hopkins space with City Manager Steve Barwick, Assistant City Manager Barry Crook and a staff member in the finance department. He declined to say what the dollar amount was, citing client confidentiality. When asked for that appraisal amount Friday afternoon, city officials were unavailable to divulge it. It’s also unknown why the entire square footage wasn’t appraised, along with the value of the development contract for the City Hall remodel with Hunt. City Attorney Jim True said the city is waiting for a written appraisal from Gold on the Hopkins property. However, Gold said Friday he hasn’t been asked yet to do that. True said the city will likely write a factual summary regarding the ballot question and the appraisal information could be provided in that. “At some point council wants that information out, or some council members do,” he said. True added that the factual summary must provide both sides of the issue but cannot offer a preference. There is no deadline for that summary and it can be distributed however the city would like, he said. Council can pass a resolution endorsing one option over the other, and individual members can campaign for whatever preference they like, True said. Mayor Steve Skadron said he supports releasing whatever appraisal is available. “Everything else we do is public, it’s a matter of transparency,” he said, adding he also supports individual campaigning. 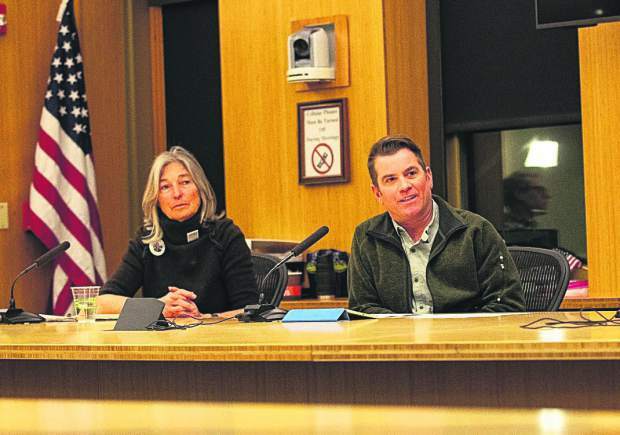 “I think council members should push the option that they feel best serves the community’s interest,” Skadron said. 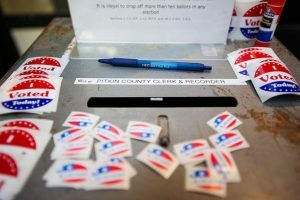 The ballot question is a result of a lawsuit settlement between the city and two Aspen residents who sued the government last year. 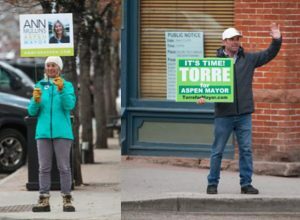 Marcia Goshorn and Steve Goldenberg, with the assistance of Snowmass Canyon resident Toni Kronberg, filed suit after they were denied their request to put the city’s ordinance approving the municipal office building at Rio Grande and Galena Plaza to a vote via referendum.